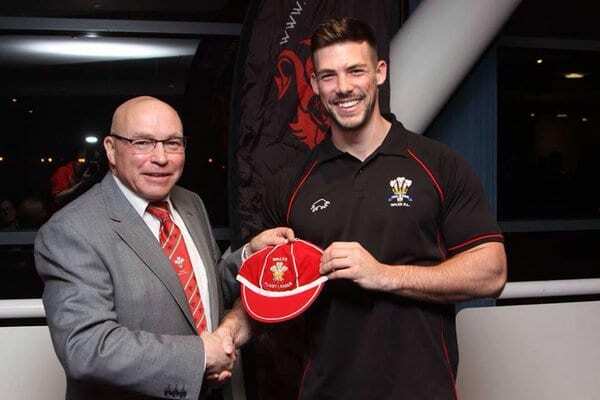 Morgan Evans, who last night became a European champion with the all-conquering Welsh squad, has agreed to join the club. Evans, who is studying for a PhD in Mathematics at the University of Bath, joins from Coventry Bears, and will be a familiar face to several of his new Welsh team mates: Lewis Reece, Jamie Murphy, Steve Parry and Courtney Davies who were key members of the Welsh squad who beat Scotland, France and Ireland to win the annual European championships. Would you like to sponsor Morgan for the 2016 season? 1) 1 All Golds season ticket for the 2016 season which grants you entry to every home fixture. 2) An invitation to our business breakfasts which will give you a superb opportunity to showcase your business amongst your fellow business owners. 3) The chance for you and 3 guests to attend an All Golds home game and enjoy a buffet lunch. 4) Your business will be advertised in our match day programme and you will get mentions on the tannoy service whenever Morgan scores a try, kicks a goal or is man of the match.